A man's quest to find answers for those who are haunted by the past leads him deeper into the shadows in this electrifying novel from the New York Times bestselling author of Promise Not to Tell. Jack Lancaster, consultant to the FBI, has always been drawn to the coldest of cold cases, the kind that law enforcement either considers unsolvable or else has chalked up to accidents or suicides. As a survivor of a fire, he finds himself uniquely compelled by arson cases. His almost preternatural ability to get inside the killer's head has garnered him a reputation in some circles--and complicated his personal life. The more cases Jack solves, the closer he slips into the darkness. His only solace is Winter Meadows, a meditation therapist. After particularly grisly cases, Winter can lead Jack back to peace. But as long as Quinton Zane is alive, Jack will not be at peace for long. Having solidified his position as the power behind the throne of his biological family's hedge fund, Zane sets out to get rid of Anson Salinas's foster sons, starting with Jack. Untouchable by Jayne Ann Krentz wraps up the Cutler, Sutter, & Salinas romantic suspense series. A little heat, plenty of heart pounding action and a hypnotist made for an interesting story as Krentz brought this series to a close. Krentz is a favorite but sadly Untouchable ended up being a just ok read for me. 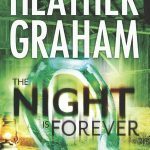 While each of the novels in this series contains a single romance and a conclusion to its own suspense thread, there is an overall ARC that ties the brothers together. They bring their quest for justice closer to realization with each book. For this reason, I recommend reading the books in the order of their release. Jack Lancaster consults for the FBI and works with his step-brothers at Cutler, Sutter, & Salinas. Jack has an unusual gift. It is one that allows him to investigate cold cases. It also makes him Quinton Zane biggest treat. Winter Meadows, a meditation therapist has recently moved from the city after a bad experience with a client. She rents the cottage across the way from Jack. I have always found her profession to be interesting and immediately liked Winter. Jack uses a self-created dreamscape to look for clues and solve cold cases particularly those involving arson. While, he solves cases, Quinton Zane manages to stay one step ahead of him. Jack has been experiences difficulty with his dreams. It’s becoming harder to manage the dreamscape, and he fears slipping into darkness. Sessions with Winter helps him control the dreamscape. I found this aspect fascinating with a hint of paranormal woo-woo. It pleased me how Krentz wrapped up the case, but the romance and story fell flat for me. Krentz has served the romantic elements in this series on the side, but I didn’t feel the passion in this one. The case had suspenseful moments, red herrings that fit neatly into the plot. However, both the romance and the case had more of a tell not show feel. This typically isn’t the case with Krentz and it prevented me from becoming immersed in the story and characters. Fans of suspense and murder-mysteries served with a side of paranormal woo-woo and romance will enjoy Untouchable and the Cutler Sutter & Salinas trilogy. 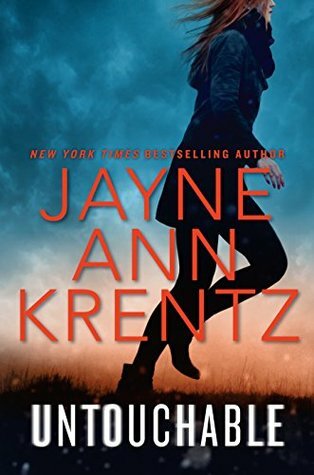 The author of over 50 consecutive New York Times bestsellers, JAYNE ANN KRENTZ writes romantic-suspense in three different worlds: Contemporary (as Jayne Ann Krentz), historical (as Amanda Quick) and futuristic (as Jayne Castle). There are over 30 million copies of her books in print. She earned a B.A. in History from the University of California at Santa Cruz and went on to obtain a Masters degree in Library Science from San Jose State University in California. Before she began writing full time she worked as a librarian in both academic and corporate libraries. Ms. Krentz is married and lives with her husband, Frank, in Seattle, Washington. I wish this one was rated a bit higher. It sounds like a good book but I don’t know if I want to read something that isn’t a 4/5 with reviewers. That’s always the thing and we each have our own tastes too. Great review. I think I will put this on my TBR. I think I am going to pass on this one because the romance and story doesn’t sound like it has really worked too well. But the concept of a dreamscape to help him solve cases intrigues me. It sounds like Sherlock Holmes’ mind palace. I do love romantic suspense. Sounds like a fun series. Thanks for sharing. Great review. This one fell a bit flat for me, too. But at least we finally got some answers and closure on the whole Quinton Zane storyline… though that felt a little anticlimactic as well. Oh, well, no author can hit them all out of the park, and this one was at least a base hit. I have been reading her books since high school and this one is not my favorite. I was happy that it didn’t take me that long to read it. 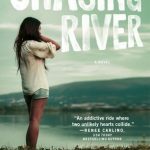 I’ve seen this reviewed around the blogosphere Kim, huh I must have been in a coma somewhere because I missed the previous books 🙂 Looks like I’ll have to get my Kindle packed up with JAK novels. Thanks! Don’t you hate when that happens, but with so many series it’s an easy thing to do. I know you like her books so I’m sorry it wasn’t a better read for you especially since it was the series ender. Hopefully, the next one will be better! Thank you Lorna. I am confident the next one will have all the elements I love. I keep meaning to try one of her books. Maybe this is the year. Thanks for the great review, Kimberly. 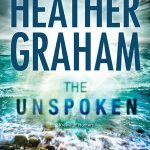 Laura Thomas recently posted: From my series wishlist ~ Which should I read first? One of my favorite authors. I love her books as Amanda Quick and Jayne Castle too! Her Arcane Society series are my favorites. I really like this author and the books from her that I’ve read. Me too, she is one of my favorites. A great review – while it’s a shame the intensity seems to have dropped with the romantic aspect, at least it sounds as if the rest of the story came to a satisfactory ending. It was a hard one I liked the wrap up, didn’t swoon over the romance and disliked the tell not show. I confess I was relieved when you said that you reacted the same way. You and me both. Lark commented on Goodreads today saying she felt the same and was relieved it wasn’t just her. I read the first book in the series when it came out. It was good, but it didnt’ dazzle me so I never felt compelled to continue the series. It seems you kind of felt the same about this one, it is good but nothing fantastic. Yep. Ah well, even my favorite authors sometimes let me down. I do love Jayne Ann Krentz and her suspense thrillers. I just downloaded this one on Tuesday. Thanks for sharing your thoughts. I hope you enjoy it. Despite my issues it had a strong wrap up to the trilogy. Oh no. I just read Promise Not To Tell. Sorry to see this one fell short, but they can’t all be off the charts. Sorry to hear the romance arc did not live up to your expectations. It is good you were still able to enjoy the story. I’m sorry this fell flat for you. The premise sounds so interesting! I love the dreamscape aspect. Series wrap-ups are always so hit or miss. I’m sorry to hear this fell a bit short in some areas, though I’m glad you thought the end was wrapped up nicely. That’s a plus! Yes, the overall story ARC had great closure. I am sorry to hear that the romance in this story fell flat for you. I have really enjoyed this author in the past. Sorry to hear you didn’t like this one as much as you would have hoped Kimberly. I also love Jayne Ann Krentz. But I haven’t tried this series yet. Glad you love her too, and yeah I was bummed.